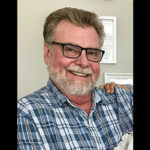 Mr. Leslie “Les” Edwin Meehleder, Jr. of Rockford, Michigan, passed away on the afternoon of Friday, January 18, 2019, and rests now, with his Lord and Savior, Jesus Christ. Les was born to Leslie and Violet (Decker) Meehleder on August 10, 1934, in Saginaw, Michigan. 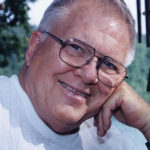 Les was a graduate of Arthur Hill High School and attended various courses at Michigan State and the University of Michigan. On January 28, 1956, Les married the love of his life, Mary Coash, at Bethlehem Lutheran Church in Saginaw. Several years later, Les proudly served his flag and country in the United States Army and Army Reserves. 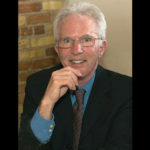 For many years, Les made a highly successful career as the Regional Manager for Sentry Insurance, and in his retirement, Les enjoyed golfing, fishing, traveling with Mary, especially to the Upper Peninsula, and working as an usher at the DeVos Performace Hall. Les was a loving and devoted husband, wonderful father, proud grandfather, dear brother and friend. Les was well liked by everyone who knew him. He was also man of great faith—with his God and his family always of the utmost importance. Les always had a positive and sincere outlook on everyday life. Les is survived by his beloved wife of almost sixty-three years, Mary Meehleder; sons, Steve (MaryLee) Cedar Rapids, IA, Mike (Lori) of Alto, MI, Jeff (Karen) of Norton Shores, MI, and Matt Meehleder of Marquette, MI; five granddaughters; two great granddaughters; sister Nancy (Dale) Giffin; sisters-in-law, Marian Meehleder, Theresa Slagle, Faith Meehleder, Helga Meehleder; brother-in-law Jim Ford; and numerous nieces, nephews, and other beloved members of the family. He was preceded in death by his parents; sisters, Mary Jane “Putsy” Meehleder, Ann Guerin Purcell, and Grace “Nooney” Popp; brothers, Tom and Jim Meehleder; sister-in-law Peggy Ford; and brother-in-law Tom Coash. The Memorial Service for Les was celebrated by Pastor Jason Peterson on Monday, January 21, 2019, at St. Peter’s Lutheran Church of Rockford, MI. Les will be laid to rest at a later date in Bethlehem Lutheran Cemetery, Saginaw, MI. Under the auspices of the Kent County Veteran Honor Guard and the United States Army, full military honors were presented. 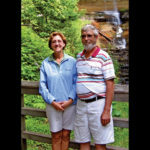 Those wishing to offer an expression of sympathy are encouraged to make a memorial contribution to Spectrum Health Hospice and Palliative Care, Spectrum Health Foundation, 100 Michigan NE, MC004, Grand Rapids, MI 49503; or to the Alzheimer’s Association – Greater Michigan Chapter, 25200 Telegraph Road, Suite 100, Southfield, MI 48033. Leslie “Les” Edwin Meehleder Jr.